Last spring, Jessica Alba carried the Chloé Marcie Satchel, making a casual trip to the grocery store look so much cuter than any hobo can. Oh and… another note, totally off topic but… that necklace she’s wearing is still cute a year later! Anyway, the only thing we weren’t too crazy about was the massive size. Can you imagine the weight of that thing!? 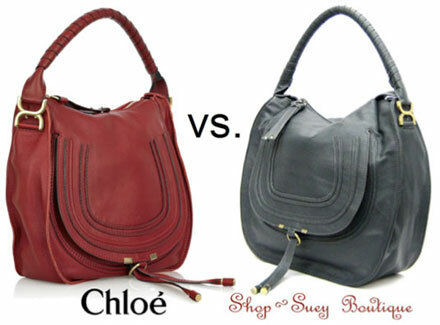 Chloé leather is not light! Now, for all you lovelies who don’t need to carry a house around in your handbag, we suggest treating yourself to the Marcie Small Braided Hobo that we’ve seen on Reese Witherspoon. 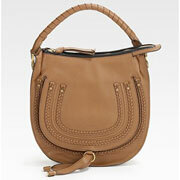 Pictured on the LEFT side below, The Marcie Small Braided Hobo‘s delicate braiding and a woven top-handle add rustic appeal to this rich leather design, crafted in a sleek flap-front silhouette. It measures 10″W X 11″H X 2½”D and retails for $1,560.00 at Saks Fifth Avenue. Feel like a “G &1/2” before taxes is too much to drop on a handbag? No worries! We know where you can get the PERFECT alternative (keep scrolling).